Norwood Community Group Services (NCGS) was formed in April 2006 with the sole intention of making a positive contribution to society. As parents we realise the need to try and engage our young people in positive activities, and the need has never been greater as it is today. Our core members came through the vehicle of West Norwood Community Development (WNCD) – a community organisation that was established through campaigning against the Old Library Hub’s closure. We moved on from WNCD and formed NCGS in April 06. Our first project was called Fit for Life kick boxing and we concentrated on Health and Fitness. Next, we delivered an educational program called Express Yourself. Both of these projects were successful due to the communities’ involvement. NCGS have since been actively delivering projects since 2016, and have now embarked on training programs to tackle worklessness amongst the youth, to date all users that participated in the Level 2 Award in Door Supervision courses have been successful. 100% pass rate. All members, staff and volunteers are DBS checked through Cataphract Ltd. Working with males from culturally diverse backgrounds. All our policies and procedures are in place and are accessible upon request. In April 2008 NCGS gained Charity status and our intentions are to expand and work in partnership with other organisations in making a positive contribution to our communities. 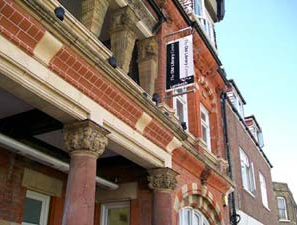 In 2008 NCGS also successfully tendered for services, in Lambeth’s commissioning rounds, and succeeded in securing funding from two bids for the next 4 years. We currently deliver universal projects and targeted services within Lambeth, our targeted work involves recreational activities and as well as mentoring & counselling. Norwood Community Group Services is fortunate to have a wealth of expertise and able facilitators within our reach. Years of community involvement on the ground level, has enabled us to tap into skills previously unnoticed, we nurture them, with the hope of growth. To date we have worked closely with Lambeth Cooperative Council who have been one of our main sponsors, Young Lambeth Cooperative, Lambeth Education Business Partnership, the Local Network Fund,the Youth opportunity Fund, the Capital Community Foundation, the Evening Standard, the Big Lottery, the Variety Club, Summer Holiday Activity Programs, the Property Fund (Metropolitan Police) P.A.Y.P. Future Job Fund, Streatham Job Centre, Social Enterprise London, The Prevent fund, B2B Engage, the National Council for Voluntary Youth Services, Information Horizons and London Youth who have all aided us in our growth and we thank all those who believed in our vision and supported us. We are affiliated with Elm green School,AQA, London Youth a National organisations recognized within Youth and Community work circles. This gives us to access to valuable additional resources. Whether it is for educational courses, camping and recreational activities, NCGS are able to help support are young people and users. We also have a great relationship with our Graphic and Web Design Agency (brace) who provide 50% of their services to us on a ‘pro bono’ basis. Norwood Community Group Services is committed to ‘Building Bridges in our Communities’, and is open to suggestions and ideas.